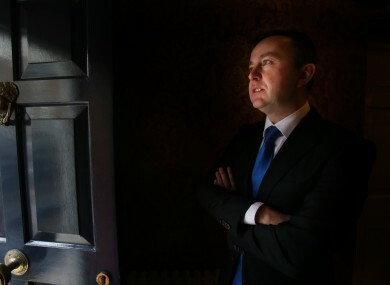 The junior minister’s departure creates a vacancy in his Dublin South-West Dáil constituency. FINE GAEL TD Brian Hayes’s election to the European Parliament earlier this week means that two political positions have opened up. The now vacant office of Minister of State for the OPW and junior finance minister is likely to be reassigned in the Cabinet reshuffle next month. But of more interest to politicos will be the by-election for his Dáil seat in Dublin South-West which will be hotly-contested by the political parties later this year. Hayes’s election on Monday meant he immediately vacated his Dáil seat and his departure for Brussels automatically triggers a by-election for his seat in the Dáil within six months. Fine Gael will not be overly confident of retaining the seat given the party’s performance in the local and European elections and the strong working class vote in the area. The party will either run Senator Cáit Keane, who came fifth in the four-seat constituency in the 2011 general election, or else opt to blood a younger candidate and give them electoral experience with the likes of Emer Higgins, Colm Brophy, Anne-Marie Dermody and, even, Kenneth Egan in the mix. Keane, a former Progressive Democrats councillor, has remained active and prominent in the area in recent years, particularly around the Terenure and Templeogue areas which are her strongholds. The party may opt for her given the experiment of running the well-known, but politically inexperienced, Eamonn Coghlan in Dublin West didn’t go to plan as he finished fifth and put in a dreadful performance in an important TV debate. Labour, which holds two of the four Dáil seats (Pat Rabbitte and Eamonn Maloney), could run councillor Mick Duff, who has a strong support base in Tallaght. Or it could opt for Pamela Kearns. The party is unlikely to win the seat which means it could opt to field a younger candidate to give them new experience. In that case, one strong contender would be the newly-elected Martina Genockey who shot to national prominence during the election campaign. Former Fianna Fáil TD Charlie O’Connor, who won a seat on South Dublin County Council last week, is likely to look at regaining the Dáil seat he lost in 2011 when he finished sixth, ahead of former minister Conor Lenihan who has since left politics. But the former government party may seek to bring in a fresh face in the form of councillor John Lahart. Sinn Féin holds one Dáil seat in the area through its foreign affairs spokesperson Seán Crowe and will be expected to poll strongly, particularly in light of its success in some wards in the constituency where it got enough of a vote to take three or four seats but only had two candidates. Its likely candidate is councillor Cathal King but Eoin Ó Broin might also come into contention. One possible independent candidate is former South Dublin mayor Dermot Looney who resigned from Labour over its policies in government. He was easily re-elected to the council on a non-party ticket last weekend and would poll strongly. The Socialist Party could run either Mick Murphy, who has competed in every election in the constituency since 1997, or offer Paul Murphy, its outgoing MEP, a chance to restart his political career by running for the Dáil. Note: A version of this article was originally published on 29 January 2014 and has been republished now that Hayes has been elected to the European Parliament. Email “Here’s who’s in the running to take Brian Hayes's vacant Dáil seat”. Feedback on “Here’s who’s in the running to take Brian Hayes's vacant Dáil seat”.